What’s your car seat travel dilemma: Road trip? Taxi, shuttle, or rental car? Using car seats in other countries? We’ve been there, we’ve done that, and we’ll help you do it with confidence. FAA Approval & Fit – Will your car seat be allowed on the airplane? What are YOUR rights when using a car seat on airplanes? For recommendations of family-friendly pit stops for your road trip, see our Destinations page. Compatible stroller for Paris? 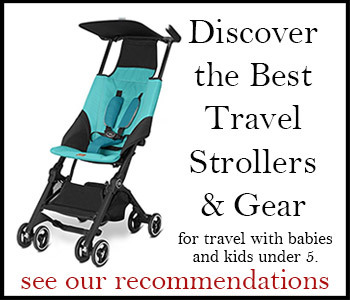 Ask Shelly: Which car seat compatible stroller is best for travel to Paris with a baby? Find more help for planning your family road trip in Part 4 of Travels with Baby, and get tips to help keep everyone happy on the road in Take-Along Travels with Baby.